The sweet bright taste of watermelon with just a *pinch* of sea salt. 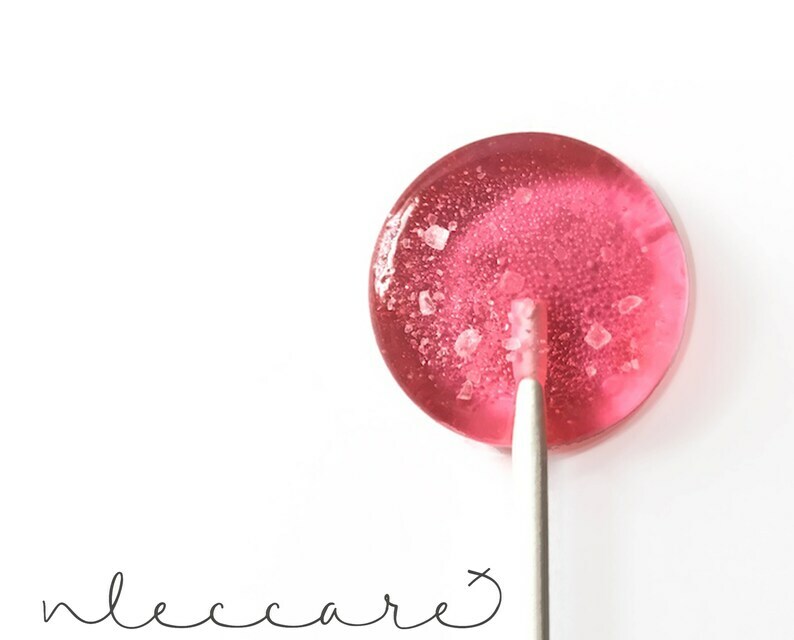 If you love salted watermelon then this lollipop is for you! Sweet and salty and just the perfect shade of pink. Perfect, perfect, perfect!! Everyone loved them!! Excellent! Packaged beautifully, tasted amazing, look adorable. I thought the watermelon needed to be a little stronger to compete with the salt. They were good, though. Great service on large order and well packaged!